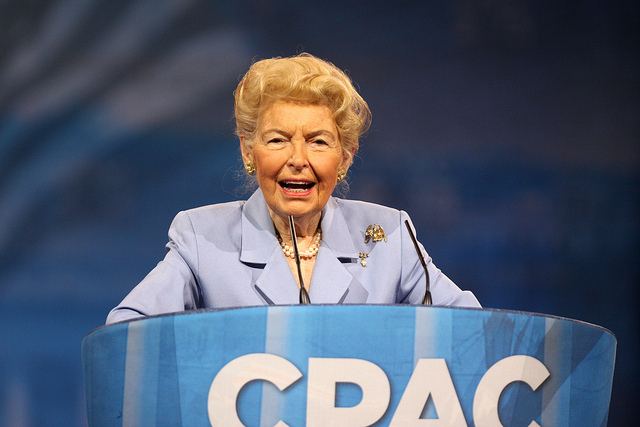 Just more than a year after the death of anti-feminist, anti-immigration, anti-LGBTQ crusader Phyllis Schlafly, as her descendants are still locked in an ugly feud stemming from her support for Donald Trump, one faction of Schlafly’s followers gathered this weekend in Virginia to discuss the future of their agenda with Schlafly gone and Trump in the White House. The activists were joined by Supreme Court Justice Clarence Thomas, who gave an off-the-record talk alongside his wife, conservative activist Ginni Thomas. They also got to meet conservative luminaries including “pastor to the United Nations” and former congressman Michele Bachmann and Republican Sen. Mike Lee of Utah. 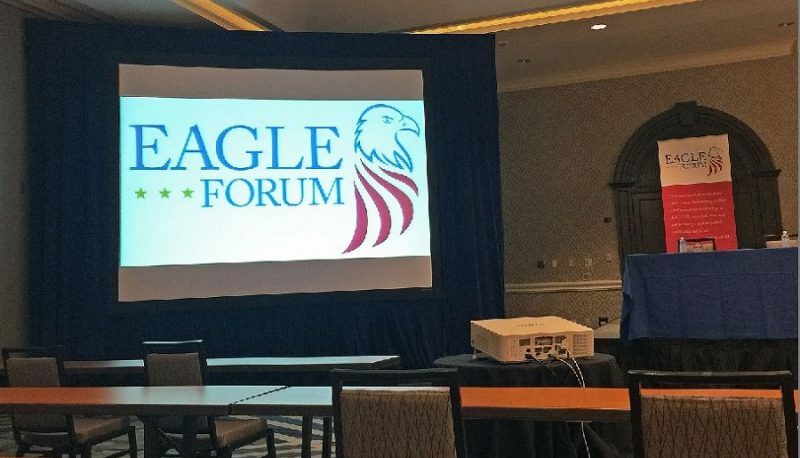 Despite the group’s new logo (available on three different colored pins at the registration desk), speakers at Eagle Forum’s 2017 Eagle Council XLVI leadership training session reiterated the group’s longstanding positions on immigration and women’s rights and continued the crusade against protections for non-gender-binary individuals and education for children about gender identity. Handouts at resource tables advocated for anti-abortion constitutional amendments, warned about the dangers of the Affordable Care Act, and sounded the alarm about the “dangerous side effects” of medical marijuana. Anne Schlafly Cori, daughter to Phyllis Schlafly and Eagle Forum board member, invoked audible groans from audience members while introducing Heritage Foundation’s Melanie Israel, who was to speak on “SOGI,” or “sexual orientation and gender identity,” laws meant to prevent discrimination of LGBTQ individuals. Schlafly called it “one of the critical issues of our time” and criticized advocates of SOGI laws. “Let’s face it, they are biology deniers,” Schlafly said, to laughter and applause from the audience. 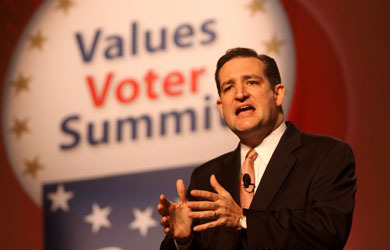 Bachmann and the Center for Security Policy’s Frank Gaffney also piled onto the immigration policy disavowal, insisting that the United States is not doing enough to address the threat of radical Islamic extremism. Gaffney lamented that Trump had abandoned the phrase “radical Islamic terrorism” in his recent 9/11 memorial remarks because it is “impossible” for someone who is “in fact a faithful Muslim” to deviate from Sharia law. “We are toast” if the United States succumbs to the “seditious ideology” and “insistence of these Islamists,” Gaffney said.